Pursuit (4K) from Mike Olbinski on Vimeo. This lively (and noisy) fellow visits us on most days while the spring flowers are about. We were recently enjoying our lunch outside in the sun when he decided to join us. 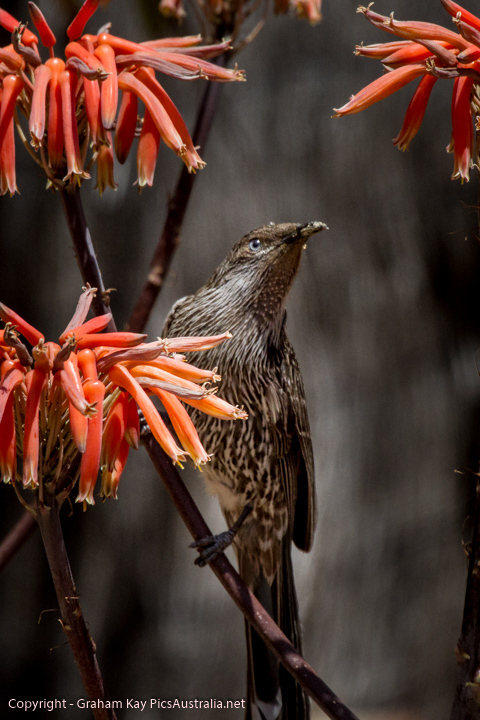 Despite him being a LITTLE WATTLE BIRD, he prefers African Aloe saponaria to our native wattle blossoms of which we have plenty. I hope my photos successfully portray the delight that he is. I am producing a wall calendar again this year. The more orders I get the cheaper they will be. 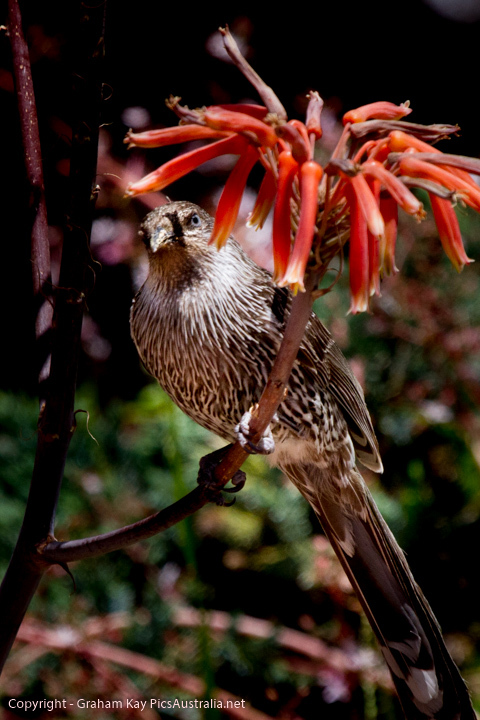 All photos are from the Australian Outback and includes Australian birds and landscapes.